In today’s time sharing GIFs has become a big trend. Moreover, it is beneficial in most of the fields too. Therefore, if you are looking for some of the best GIF makers then you have landed at the right place. Using GIFs has become quite an important feature to be used in emails or in the marketing field. If GIFs are made with a unique strategy and that too with the best GIF makers, then this highly increases the sales and click through rate. Moreover, it just helps to bring more and more conversion in an optimized way. To fetch up one of the best and free GIF maker, read the article till the end. Imgflip is quite a unique GIF maker which has a lot of creative functions. These creative functions help you to fetch exactly what you need. The best thing about this GIF maker is that it also has the function to make memes and other motivational posters. 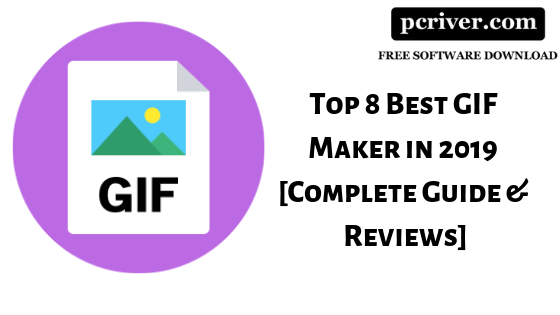 These features make it one of the best all-rounder GIF maker. One thing you must watch out before using Imgflip is that it can convert video files into GIFs up to 100mb only. Trying to convert a file more above than 100mb will show you a pop-up saying to purchase its paid plan. The paid plan allows you to upload and convert files having a size greater than 100mb. GIFS.com is one of the best GIF makers which provide optimized GIFs and that too of less size. This greatly helps in reducing page load speed even if the ads in GIF format are used. Moreover, it has a variety of functions which allows you to give a full hand over the customization. The user interface of GIFS.com is quite smooth and clean. Even a non-technical person can use GIFS.com without any difficulty. To make a GIF at GIFS.com, you simply have to copy and paste the URL of the video that you want to convert in the GIF format. GIFS.com supports almost every popular video platform like YouTube, Facebook, Instagram and more. The best thing about it is that it is completely free to use and also doesn’t paste a watermark on the obtained GIF. Giphy is one of the most popular and widely used GIF makers. It is also found in many of the keyboards. For finding GIFs, Giphy has been the default search engine over a long time. It is most preferred as its library has a big variety of GIFs. You can have your own ideas and videos and create GIFs by using Giphy. Moreover, you can also make GIFs by importing the videos from other popular video platforms like Facebook, Youtube, Instagram and many more. It is one of the best GIF makers which is used to create animated ads. The creation of high-quality ads from Giphy directly or indirectly increases sales and conversions. If you are a true GIF fan, then checking out Giphy might be one of the best considerations. Screen To GIF is a unique GIF maker. As its name suggests that it converts the media on screen. Basically, it allows you to select a particular region of your screen which you want to be recorded and converted into GIF. You can either select a small part or the whole screen too. The main of this GIF maker is to make the process of GIF making more and more simple. Thereby, having a clean User Interface makes it easier to make high quality and informative GIFs. If you are searching the web to fetch a GIF maker which is the most easier, then this one is for you. It helps you to create GIF by recording the screen. RecordIT gives you access to select the portion of the screen by yourself. Trying it will make you realize how easy is to make GIF. Moreover, a few clicks of your mouse will result in an output result which can be previewed online. From here you can share your creation to any platform like Facebook or WhatsApp. The best thing about this GIF maker is that it is available for both Mac and Windows. Apart from this, it is completely free to be used. Another on the list of best GIF makers is the GIFPAL. GIFPAL is basically an online website which is one of the best GIF makers. The best thing about this GIF maker is that you can produce GIFs without any watermark. Moreover, GIFPAL gives you access to create GIFS by arranging the pictures quite easily. This GIF maker has also been loaded with a variety of effects which makes the GIF quality much better. GIFPAL allows you to make GIFs up to 48 frames per second. One thing you must remember before installing it is that you must have flash player installed in your device. For those who want to make commercial ads using GIFs, GIF Me is the best consideration for them. The best thing about this GIF maker is that it is completely free, providing no watermark. Moreover, the user interface of it is also quite attractive, therefore making it more interesting to use. It helps you to obtain some high-quality GIFs. You can do so by easily recording videos by your camera or simply selecting the media from your phone’s gallery. Apart from this, you can also select some photos and obtain a GIF by just making a slideshow of them. This GIF maker can be used on both Android and iOS. Picasion provides a wide range of features to make different kinds of high-quality GIFs. You can make GIFs by taking photos directly from your webcam. Photos imported from flicker can also be used to create GIFs from Picasion. The main disadvantage with this GIF maker is that you cannot upload the pictures in bulk. For making a slideshow GIF, you have to select the photos one by one. As you complete making the GIF, make sure to save it in the Picasion’s gallery. Later on, you can simply download it or directly share your creation anywhere. So this was the list of some of the best GIF makers that can actually help you out in what you are looking for. In this digital world, GIFs play a big role in making optimized Ads which leads to a large number of conversion and return of Investment. Not only this but with these GIF makers, you can also make some funny videos which can be used to either express your feelings or getting entertained. The availability of too many GIF makers creates a lot of confusion. Therefore, you can check out the above GIF makers to get the best results.